Luis Bernal, Spain’s most dedicated and un-flappable policeman, frightened of nothing except his increasingly empty marriage and the demands of his adoring mistress, is despatched from Madrid to the Costa del Sol following a high-level alert that the Basque terrorist movement ETA are about to launch a bombing campaign in and on the Costa’s tourist-crowded beaches. A local detective is murdered and the bombs begin to go off. Even the stately Bernal is a victim, but as the hunt for the terrorists intensifies, he and his team find themselves enmeshed in a different case which could be just as dangerous, just as deadly. Why have several tourists (all young males) mysteriously disappeared without trace in a relatively small area of Torremolinos? 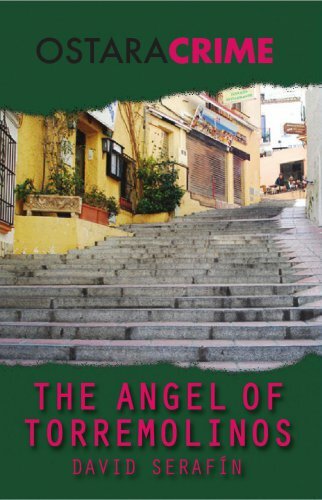 Could it be that the self-styled ‘Angel of Torremolinos’ is anything but an angel of mercy…..? David Serafin’s Luis Bernal thrillers were widely praised for their “informed relish for local colour and customs” and the author’s ability “to mix subtle characterisation with a jolting plot”. It was the British newspaper The Observer which described Luis Bernal as a “superpolicia” of crime fiction.